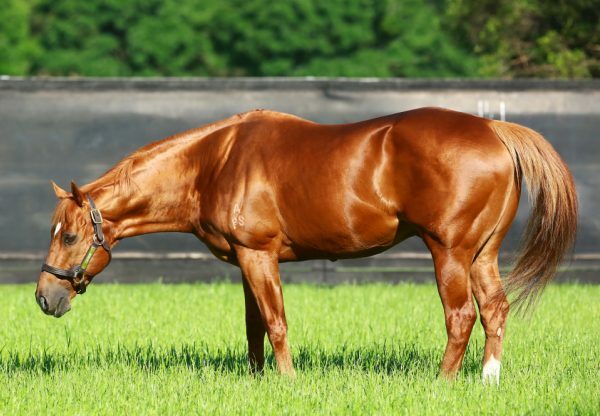 Super talented and super headstrong, much like his sire Choisir, The Mission (2c Choisir x My Amelia, by Redoute's Choice) ran his rivals ragged to score a dominant victory in the Group I ATC Champagne Stakes at Randwick on Saturday. 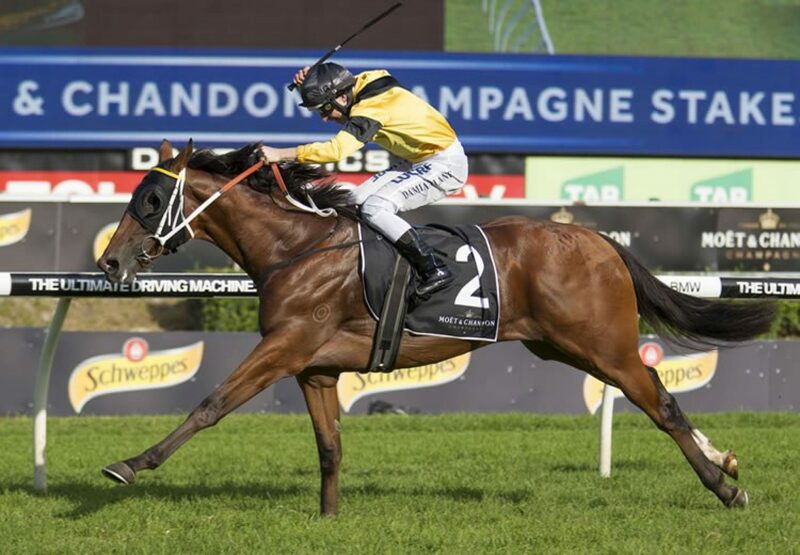 The Paul Perry trained colt won the Group III ATC Schweppervescence Stakes over 1400 metres at Rosehill two starts back, before racing without luck in the Group I ATC Sires Produce Stakes to finish sixth to Invader. He over-raced on that occasion and gave Damian Lane a torrid ride, but it was a different story this time around. The Mission found the front and allowed to roll along by Lane found himself in a happy place. Rock hard fit thanks to plenty of recent racing, The Mission powered to the line to beat Invader by more than two lengths taking his overall record to two wins and two placings from eight starts with prizemoney topping $400,000. “He’s a tricky horse to ride, but I learned a lot from riding him in the Sires,” said Damian Lane. “I thought if I could get him into his rhythm out in front they wouldn’t run him down.” The Mission achieved what his sire could not as the Paul Perry trained Choisir was third in the Champagne Stakes back in 2002. Choisir returned at three to become the world’s best sprinter posting memorable wins in the Group II King’s Stand Stakes and Group I Golden Jubilee Stakes at Royal Ascot making him and his trainer into national heroes. “It was a great win. He’s shown something all the way through, but has been his own worst enemy,” said Perry. 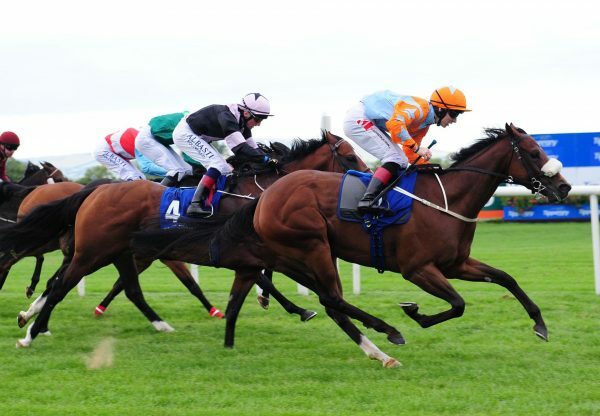 “Once he jumped well today I knew he’d keep going. 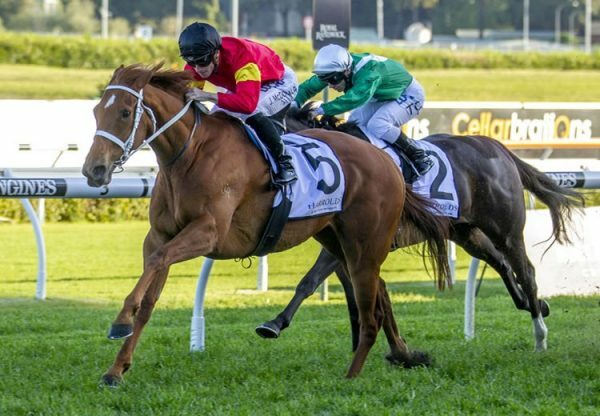 “He’ll go to the paddock and we can look at the Caulfield Guineas in the spring.” The Mission is the 11th Group I winner for Choisir, who stands at Coolmore this spring at a fee of $29,700. 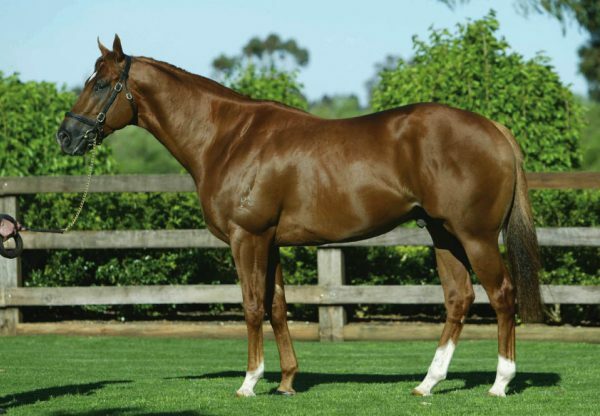 A $32,500 Magic Millions Book II purchase for his trainer from the Edinglassie Stud draft, The Mission was bred by Richard Pegum and has a 3 x 3 double cross of champion sire Danehill. He is a half-brother to Group III placed Smart Amelia from minor winning Redoute’s Choice mare My Amelia, a daughter of Group I AJC Champagne Stakes winner Carry on Cutie. My Amelia has a weanling filly by Encosta de Lago's brilliant son Rubick.